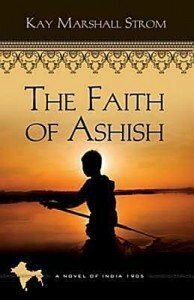 “His name is Ashish. His name is Blessing. The boy is my blessing.” Virat and Latha named their son Ashish, for he is the light and glory of their world. Yet a simple drink of water from the wrong cup changes them forever. Virat, Latha, and Ashish are Untouchables in 1905 India, members of a caste who must never contaminate the world of the other, higher, castes. When Ashish is in desperate need of a doctor, Virat risks everything to save his son and ventures into the dangerous realm of the high caste. There, the strength of a father ‘s love, the power of a young British nurse, and the faith of a child change the lives around them. If you get the Kindle version, you can read it on Amazon’s “cloud” reader on your computer without a Kindle. Christian Book also offers a computer-readable version. Don’t wait! What’s free today may not be free tomorrow.